Eternox Peptide Cream is packed with 3 powerful peptides that work together to stimulate the repair of skin collagen and eradicate wrinkles by restoring youthful thickness to the skin dermis itself. Peptides are definitely the latest "buzz word" in the skin care industry. But do you know what makes them so important in your skin care routine? When our skin collagen breaks down, short segments of amino acids are formed. These are the tiny proteins and active molecules known as peptides. These peptides send a message that collagen has been lost and your body needs to generate more. As we age this process begins to slow down. This is where peptides in skin care come into play. 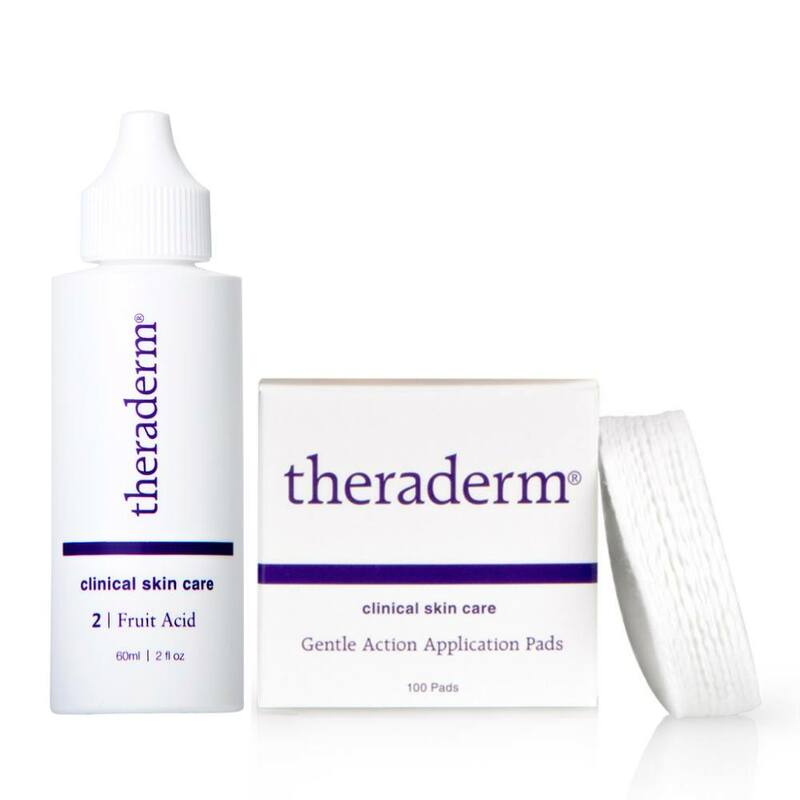 When peptides (like those in Theraderm Eternox Peptide Creme) are applied topically, your skin thinks they are present due to a collagen break down and triggers your body to manufacture more collagen. What does this mean? 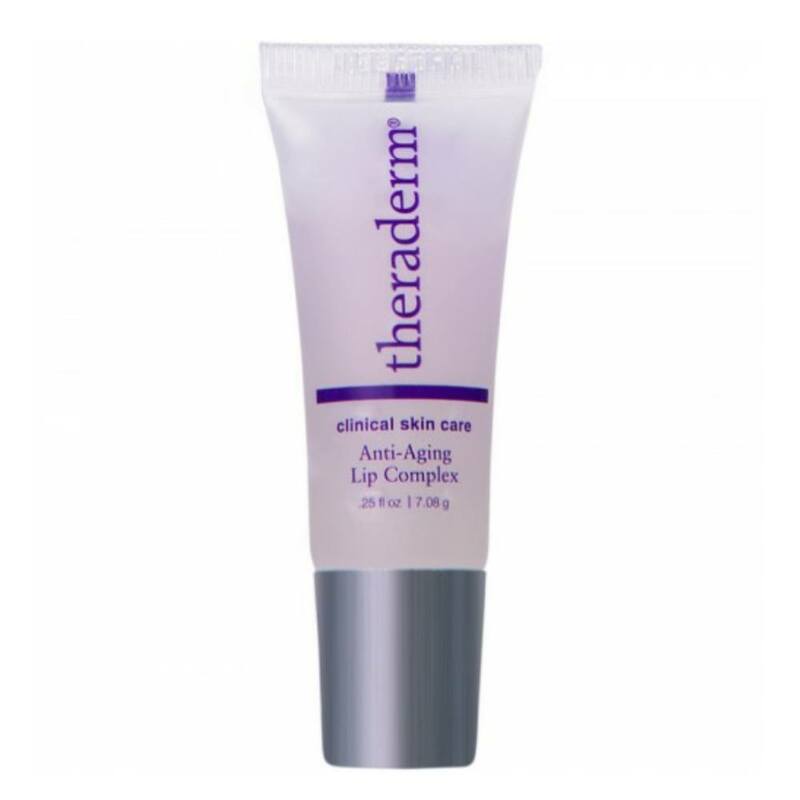 Plumper, healthier looking skin AND a reduction in the appearance of fine lines and wrinkles! Additional collagen also strengthens the matrix of the skin which tightens the skin reducing laxity and sagging skin. Soluble Keratin Peptide: Acts to repair damaged collagen and stimulate the production of new collagen, firming delicate skin and reducing the appearance of fine lines and wrinkles. 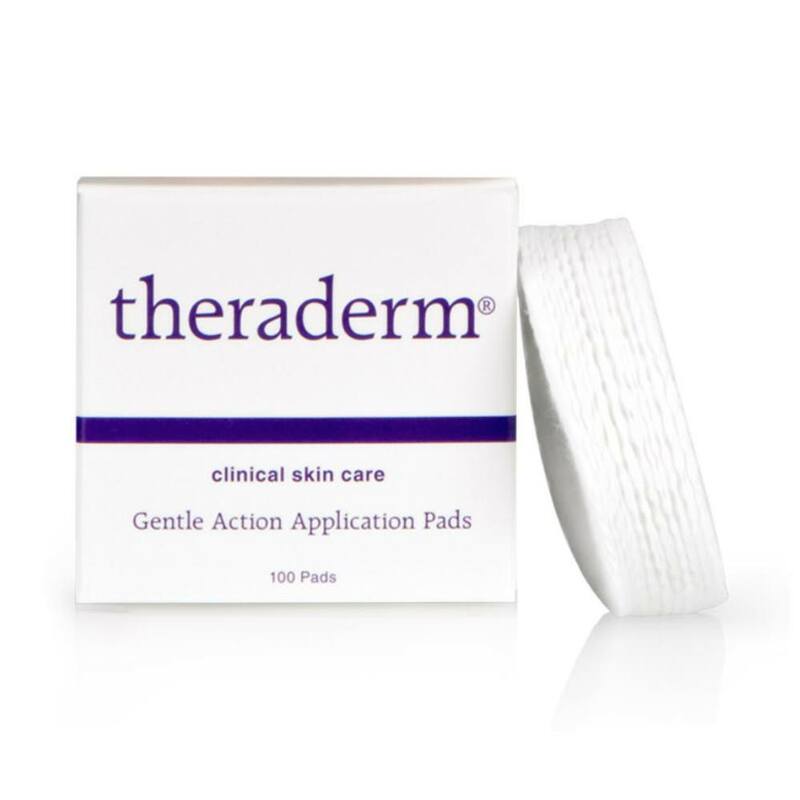 It is covered by 31 patents for its use in healing wounds, and Theraderm has exclusive use of the ingredient for skin care products. Argireline TM (Acetyl Hexapeptide-8): Softens the lines caused by expression. 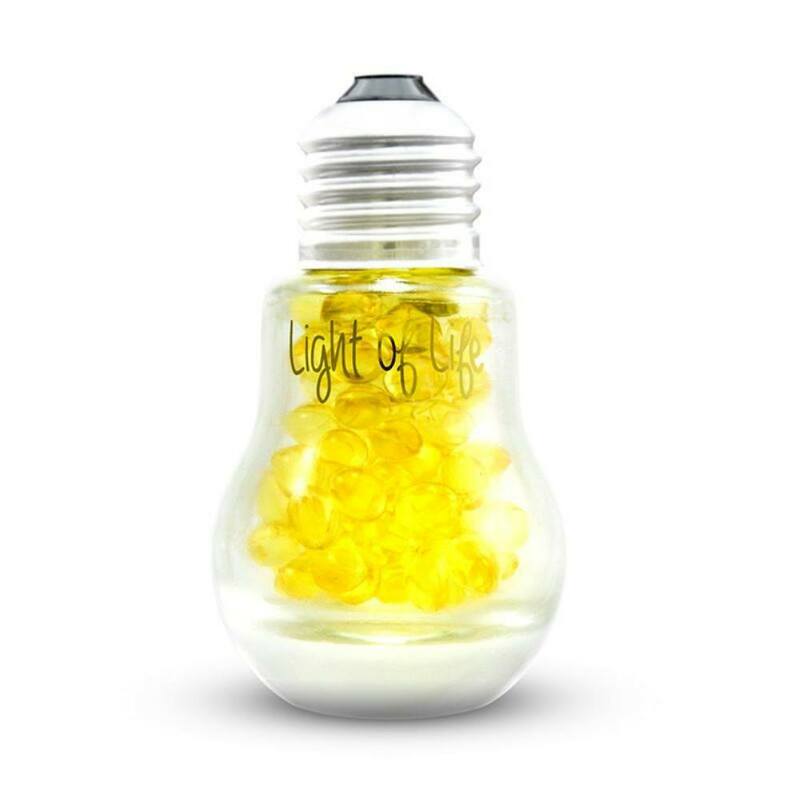 It is composed of six amino acids and is designed to relax facial muscles that cause wrinkles. Matrixyl: Consisting of five amino acids linked together, this peptide increases the synthesis of elastin and collagen. 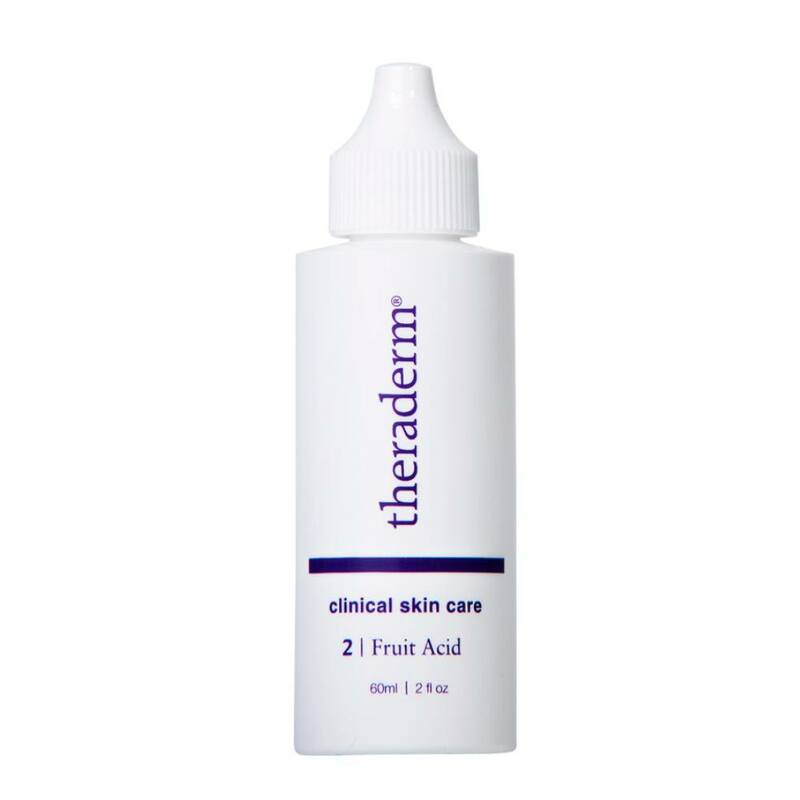 It has been shown to decrease skin roughness and reduce wrinkle volume. 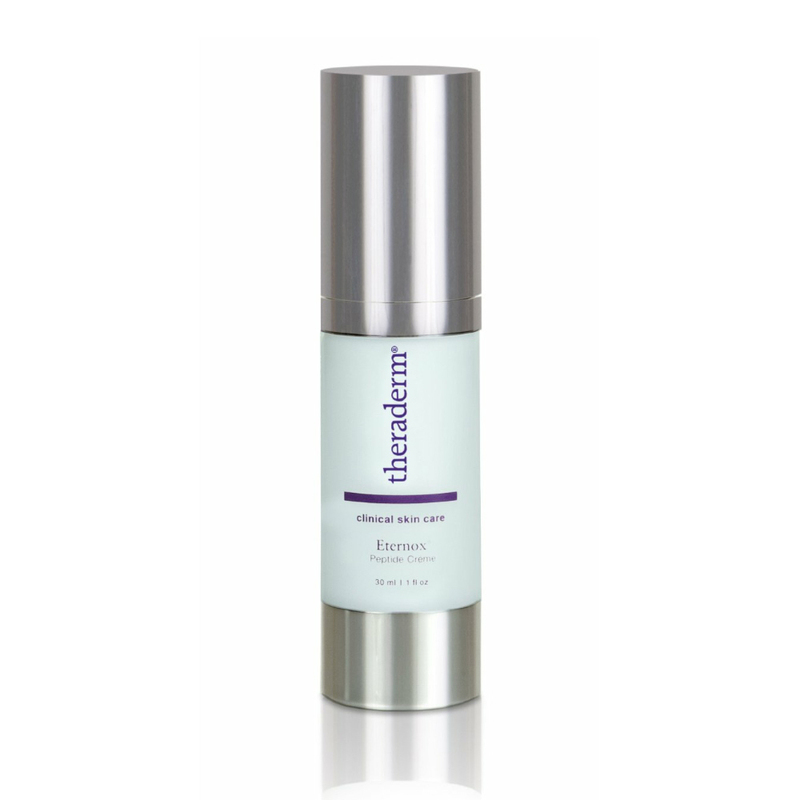 It also has been shown to decrease wrinkle depth after four months of applications on the face and neck, twice daily. Eternox Peptide Creme has been developed to be applied directly to moderate and deeper wrinkles to eradicate or lessen their appearance by stimulating the skin's natural mechanisms to add thickness (collagen) directly to them. 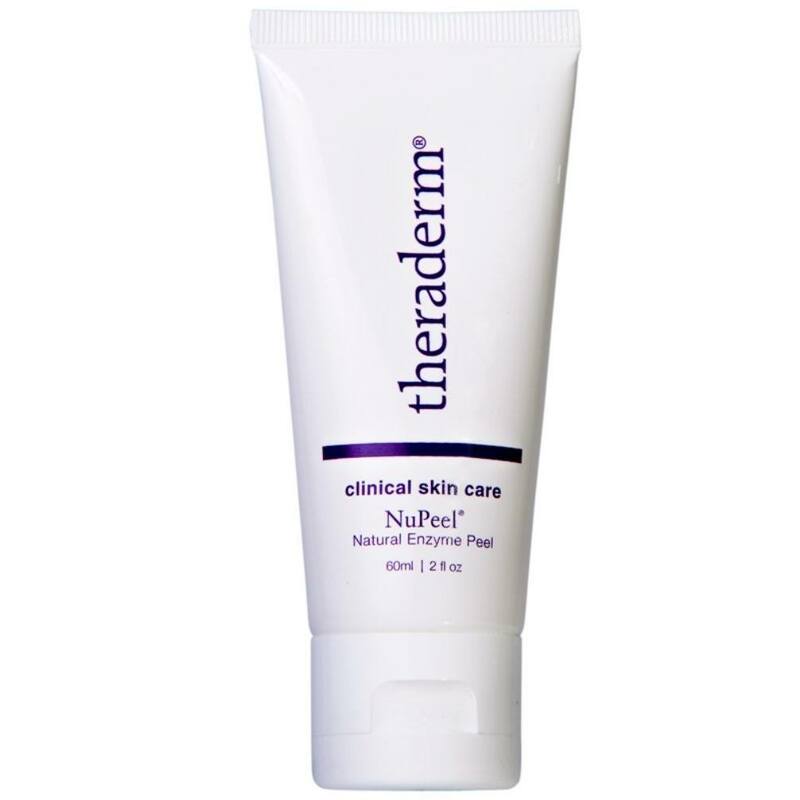 In addition Theraderm Eternox Peptide Cream is light-weight. 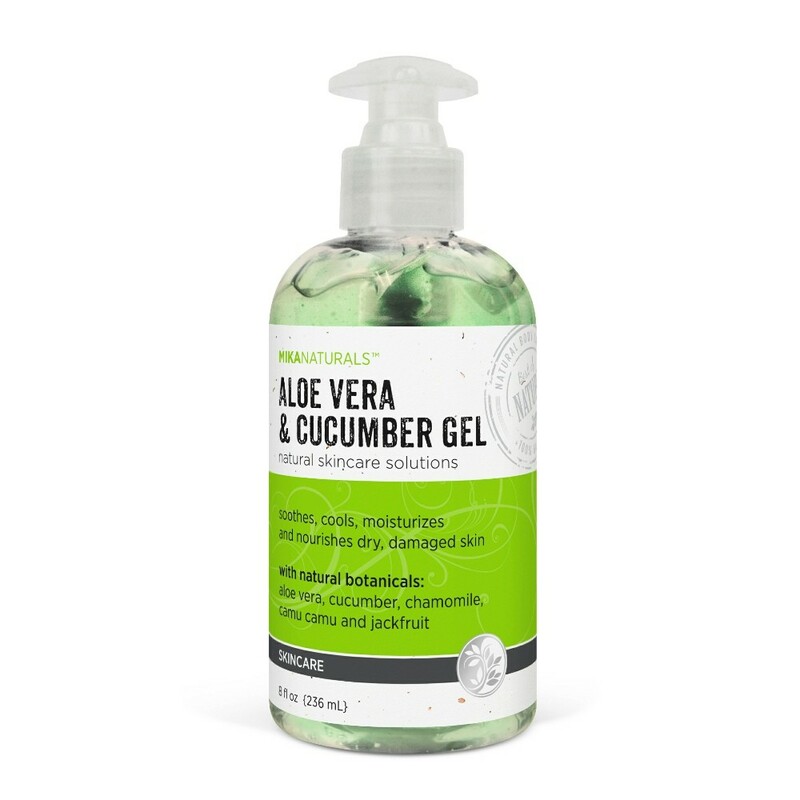 It can be used in conjunction with your moisturizer without feeling too heavy. 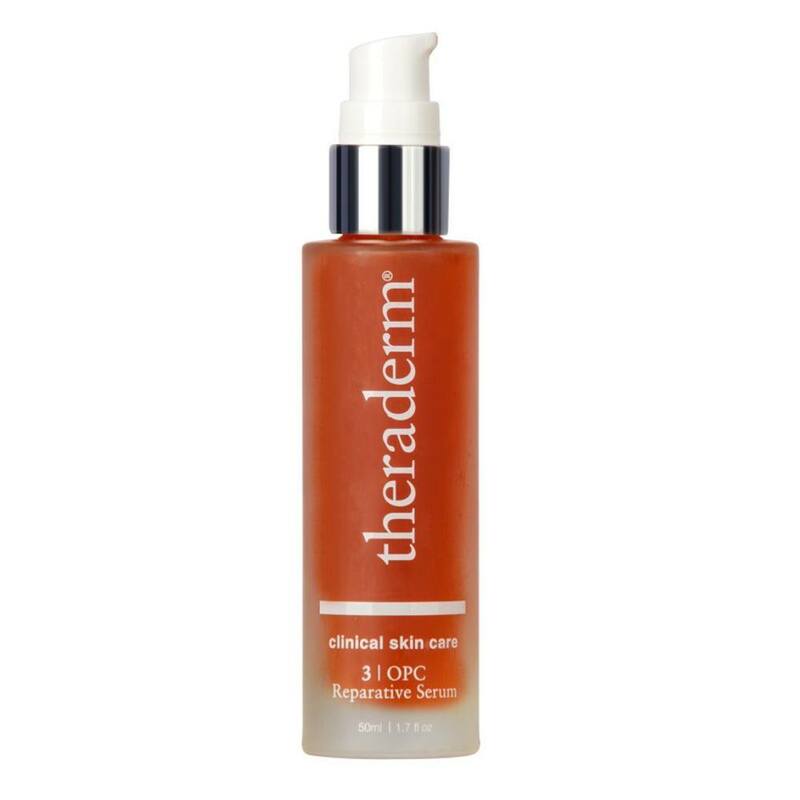 It is also perfect for those who are mid-life hormonal and need anti-aging products, but not a heavy moisturizer. What About Loose Neck Skin? The skin over the neck between our jawbone and collar bone gets stretched and pulled in every direction on a daily basis. Furthermore, the effects of constant exposure to sunlight and aging cause our neck skin to become thin and lax. As time passes, this leaves us looking older than we feel. 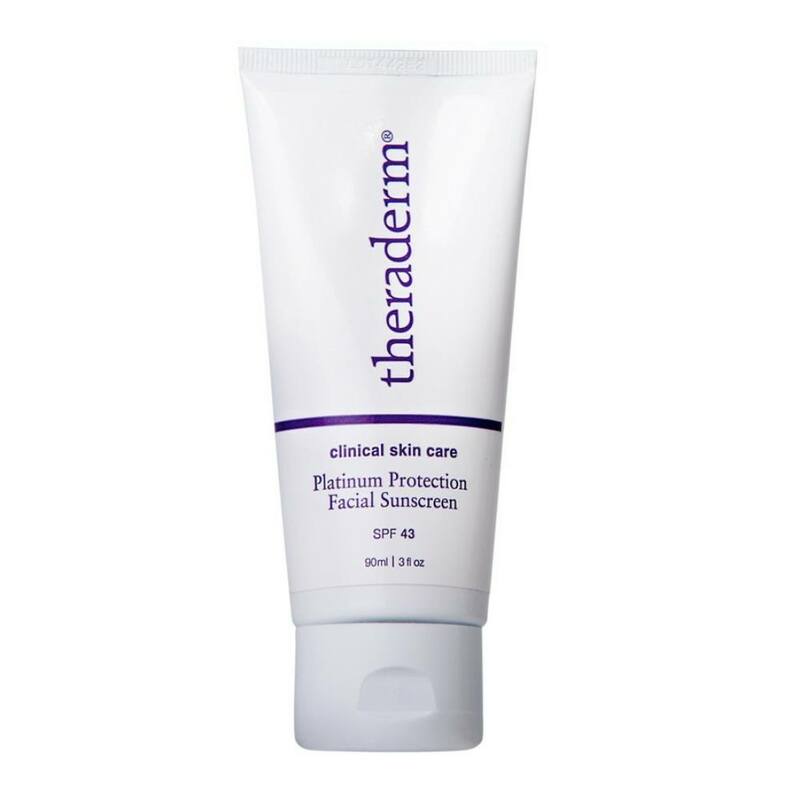 So, how do we wrestle our skin away from Father Time and get back our natural, youthful looking skin? Much of the laxity that our neck skin experiences as we age is probably due to the loss of collagen. As most of you know, collagen is what gives thickness, substance, and strength to our skin, enabling it to resist laxity. Although many people choose to undergo facelifts to correct this laxity, all they're really doing is removing excess skin in the same way that you would take up the waist in a skirt. The first step in a real solution is to rebuild and restore the natural collagen matrix in the skin itself. 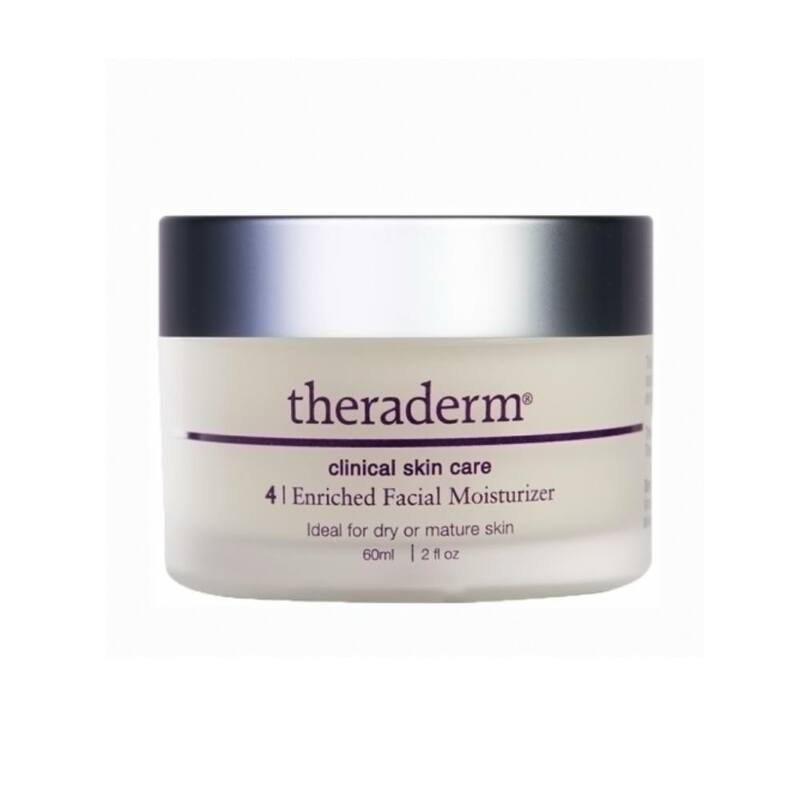 Theraderm Eternox Peptide Creme contains a combination of 3 unique peptides that act kind of like the on switch on your computer to stimulate skin cells to make new collagen and repair damaged collagen, restoring your skin to its normal, tight, youthful appearance. In a clinical study, users of Eternox saw a 40% decrease in skin laxity on the jaw and neck area after 12 weeks. 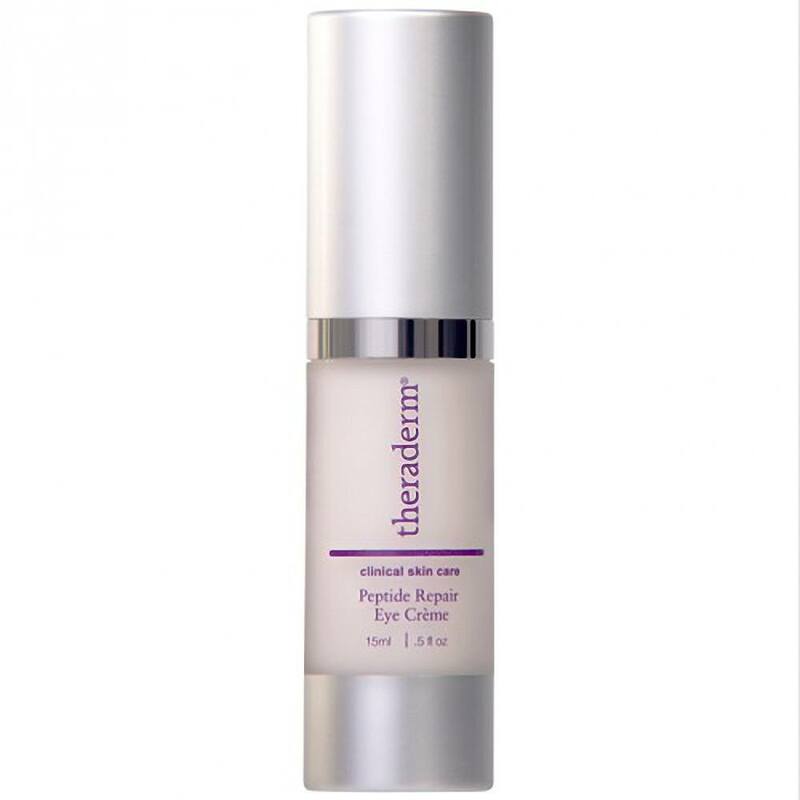 This light, airy cream richly hydrates while stimulating collagen production deep within the skin. For wrinkle reduction therapy, apply cream to face, eyelids and neck twice daily. Eternox can be applied over slightly wet skin. May also be used daily as a light, silky facial moisturizer. For best results, use NuPeel Natural Enzyme Peel 2-3 times a week prior to applying the Eternox Peptide Creme.